Drexel University biomedical engineers and Princeton University psychologists have used a wearable brain-imaging device called functional near-infrared spectroscopy (fNIRS) to measure brain synchronization when humans interact. 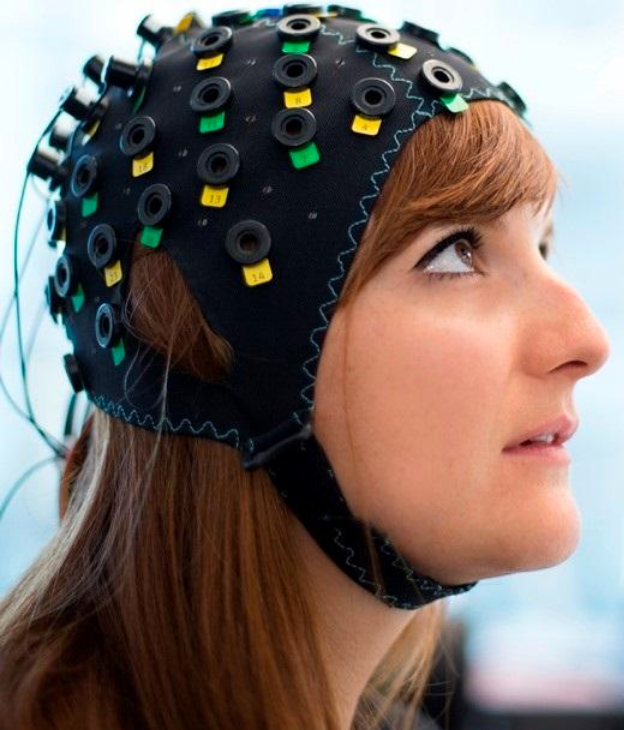 fNIRS uses light to measure neural activity in the cortex of the brain (based on blood-oxygenation changes) during real-life situations and can be worn like a headband. The researchers found that a listener’s brain activity (in brain areas associated with speech comprehension) mirrors the speaker’s brain when he or she is telling a story about a real-life experience, with about a five-second delay. They also found that higher coupling is associated with better understanding. The researchers believe the system can be used to offer important information about how to better communicate in many different environments, such as how people learn in classrooms and how to improve business meetings and doctor-patient communication. They also mentioned uses in analyzing political rallies and how people handle cable news. “We now have a tool that can give us richer information about the brain during everyday tasks — such as person-to-person communication — that we could not receive in artificial lab settings or from single brain studies,” said Hasan Ayaz, PhD, an associate research professor in Drexel’s School of Biomedical Engineering, Science and Health Systems, who led the research team. Traditional brain imaging methods like fMRI have limitations. In particular, fMRI requires subjects to lie down motionlessly in a noisy scanning environment. With this kind of setup, it’s not possible to simultaneously scan the brains of multiple individuals who are speaking face-to-face. Which is why the Drexel researchers turned to a portable fNIRS system, which could probe brain-to-brain coupling question in natural settings. The researchers targeted the prefrontal and parietal areas of the brain, which include cognitive and higher order areas that are involved in a person’s capacity to discern beliefs, desires, and goals of others. 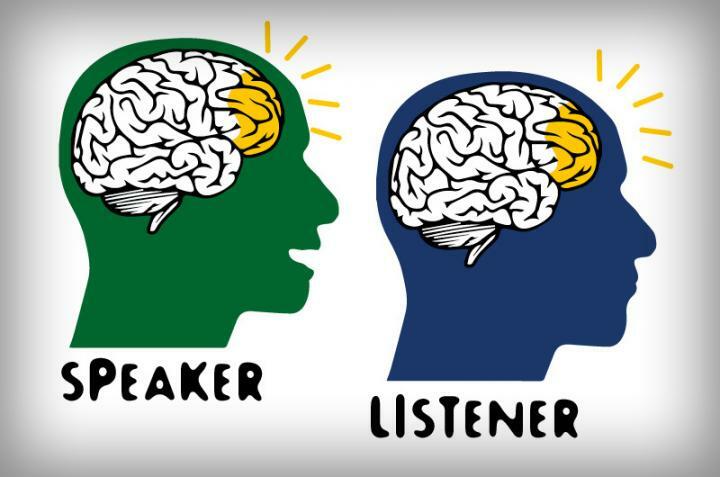 They hypothesized that a listener’s brain activity would correlate with the speaker’s only when listening to a story they understood (the English version). A second objective of the study was to compare the fNIRS results with data from a similar study that had used fMRI to compare the two methods. They found that when the fNIRS measured the oxygenation and deoxygenation of blood cells in the test subject’s brains, the listeners’ brain activity matched only with the English speakers. * These results also correlated with the previous fMRI study. The researchers believe the new research supports fNIRS as a viable future tool to study brain-to-brain coupling during social interaction. One can also imagine possible invasive uses in areas such as law enforcement and military interrogation. The research was published in open-access Scientific Reports on Monday, Feb. 27. The present study investigates brain-to-brain coupling, defined as inter-subject correlations in the hemodynamic response, during natural verbal communication. We used functional near-infrared spectroscopy (fNIRS) to record brain activity of 3 speakers telling stories and 15 listeners comprehending audio recordings of these stories. Listeners’ brain activity was significantly correlated with speakers’ with a delay. This between-brain correlation disappeared when verbal communication failed. We further compared the fNIRS and functional Magnetic Resonance Imaging (fMRI) recordings of listeners comprehending the same story and found a significant relationship between the fNIRS oxygenated-hemoglobin concentration changes and the fMRI BOLD in brain areas associated with speech comprehension. This correlation between fNIRS and fMRI was only present when data from the same story were compared between the two modalities and vanished when data from different stories were compared; this cross-modality consistency further highlights the reliability of the spatiotemporal brain activation pattern as a measure of story comprehension. Our findings suggest that fNIRS can be used for investigating brain-to-brain coupling during verbal communication in natural settings.